One hundred years ago, Sand’s ancestors made the long, one-way trip to the Fifth World, ready to work ceaselessly to terraform the planet. Descendants of native peoples like the Hopi and Zuni, they wanted to return to the way of life of their forebears, who honored the Kachina spirits. Now, though, many of the planet’s inhabitants have begun to resent their grandparents’ decision to strand them in this harsh and forbidding place, and some have turned away from the customs of the Well-Behaved People. Sand has her doubts, but she longs to believe that the Kachina live on beyond the stars and have been readying a new domain for her people. She may be right. Humans have discovered nine habitable worlds, all with life that shares a genetic code entirely alien to any on Earth. Someone has been seeding planets, bringing life to them. 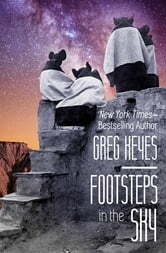 But no other sign of the ancient farmers has ever been discovered—until one day they return to the Fifth World. They do not like what they find. 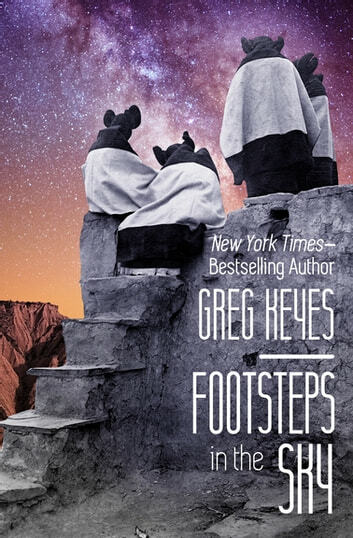 Originally written in 1994, Footsteps in the Sky is finally being released in digital form by Open Road Media.